Texas | JP Rankin "The CARTOON COWBOY"
It would be accurate to say that I am a fan of the eccentric and odd, and as I sometimes travel across this country of ours I am attracted to these things …. 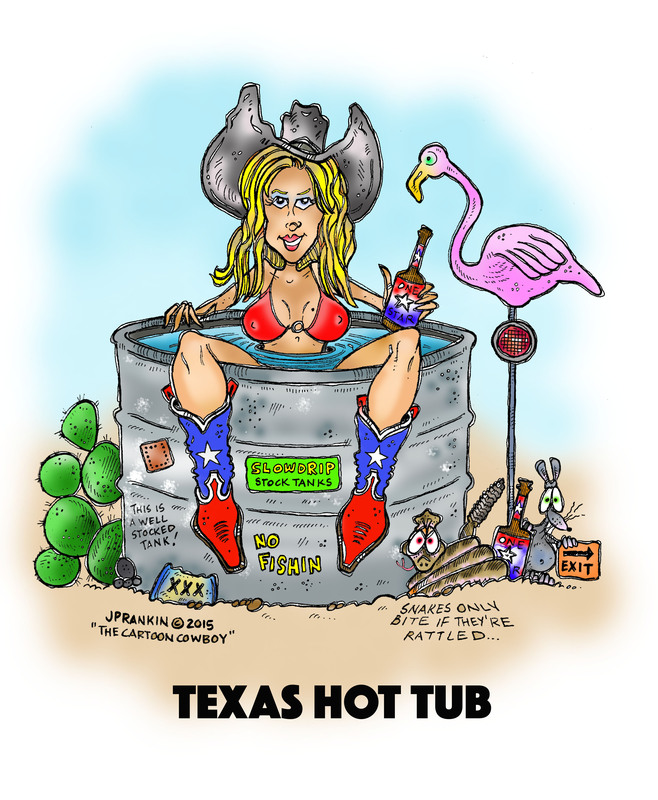 Mel Lothrop – Caricature Artist – one of the Alamo City’s finest! Mel Lothrop is a good friend of mine and fellow Caricature Artist out of San Antonio, Texas …. For years his calling card has been the “Happy Face” …. This was a cartoon that I did for him a few Christmas’ back in 2006. … and if you are ever down in Market Square in San Antonio, Texas get your caricature done by him and you won’t be disappointed … and tell him that you heard about him from The Cartoon Cowboy!